None. Random Cotton Candy drops from Robin. You should be able to know your characters sound effects and animation to not MISS. 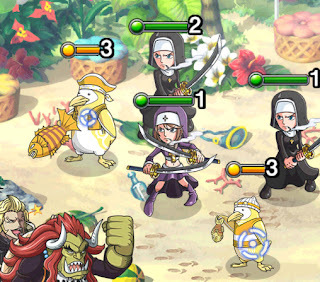 Robin will blind you for 9 turns. 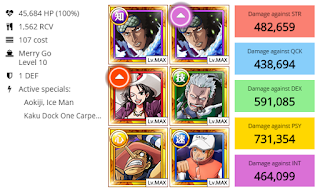 GP Usopp very recommened to use in the blind stage instead of boss stage. You need orb manipulators. 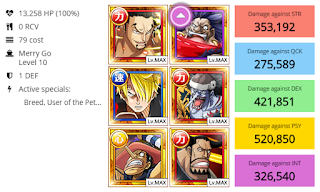 No need for orb booster, since Robin will buff orb effects. 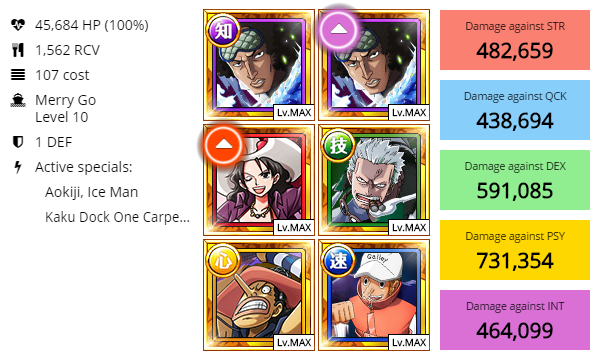 Do not use a HP boosting captain without despair sockets. This fortnight has a despair turn. Focus pistol girls first. They will despair friend cpt. Easily stall on the turtle. 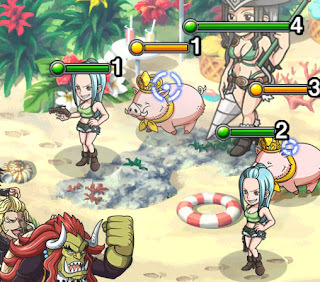 Pig has quite a high ATK so use the turtle. The giant will despair your captain only on next turn . 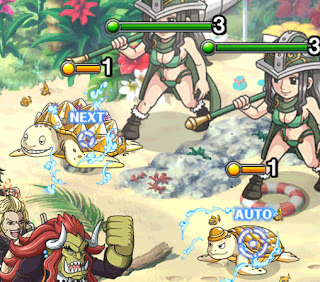 Get rid of the giant first and switch over to the 1 turn girl. To not get hit by despair. This stage comes in one of these versions. 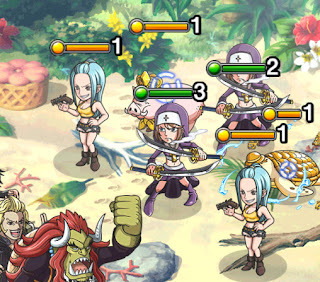 In both Robin will blind you for 9 turns. 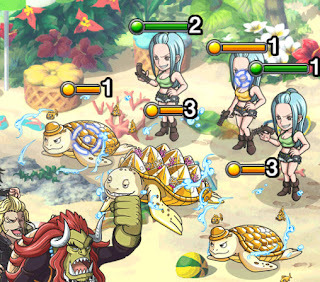 On version a) defeat all the cannons before robin. 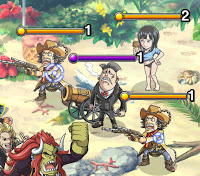 On version b) focus the big INT cannon guy. Or you will go game over. Despairs your captain on next turn. So defeat them both in the first turn. Also comes in 2 or 3 versions. But only HP varies. 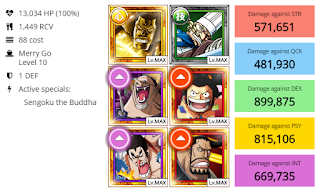 Pre-emptive: ATK buff 9 turns and Orb boost for you, also 9 turns. If you don't have Mr. 3 use GP Usopp instead. But being INT and delaying enemies is designed for this fortnight. Foxy replaceable by any other INT fighter. Same reason to use him as Mr. 3. 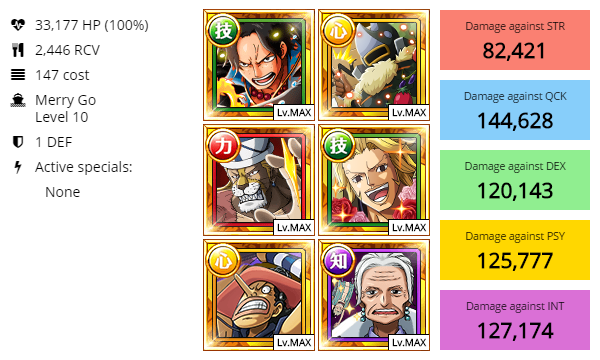 Sengoku as a friend will provide heavy 3x ATK boost to everyone. 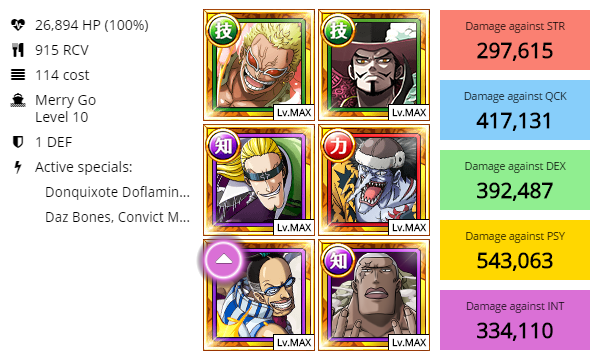 Pretty basic and solid Striker crew lot of defense and nice clear through Aokiji being INT. Use Namis special to block the 3 cannon guys if you MISS through blinds. 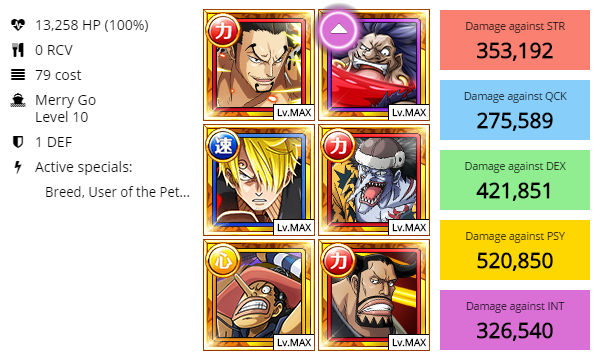 Sanjis special being used on high DEF stage. The blinded stage is the worst nightmare. 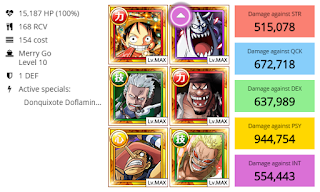 So use Usopp there. That Moria is basicaly the Log Luffy for Driven crews. 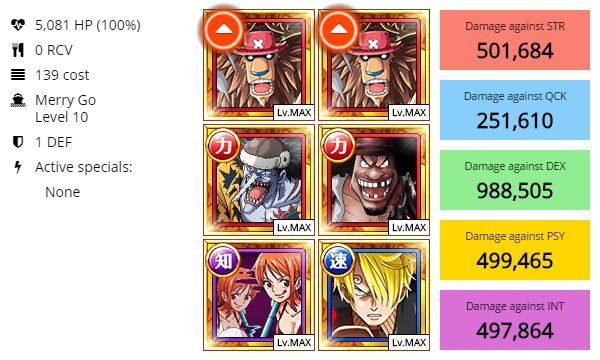 Quite some good HP and RCV. Very defensive, but may lack STR character. 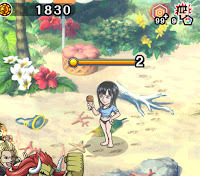 You can replace Tsuru with a good STR shooter with a mass on ATK. 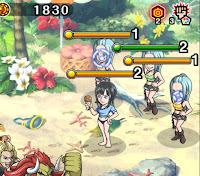 Focus the little girls so you won't get friend despair. All in without any RCV. 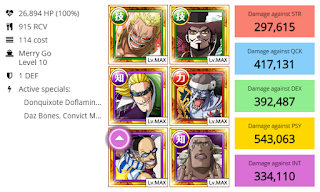 You can replace Lucci with Dellinger friend as well to have some heal and orbs. 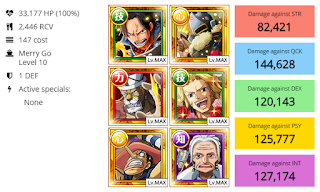 Bruno may be replaced for any STR or INT powerhouser.